Egyptian cotton bedding is considered an exclusive, comfortable bedding to sleep on. This type of bedding is made from high quality cotton that go as high as 1500 threads of Egyptian cotton per square inch. This is called thread count and basically the higher the thread count, the more comfortable the sheets are. Thread count counts the number of threads in one square inch of fabric. A quilted bedspread has three different layers of fiber. The top of the quilt is made with cloth, then there is a layer of batting which is either made from materials such as cotton or wool or combination of fibers and the bottom is woven cloth. A quilt is unique from other types of bedding in that it is put together with various pieces of cloth. The term quilting refers to the method of piecing the pieces of cloth together, usually by stitching. Some quilts may just have a layer of fabric stitched together with a backing of micro fleece so there are two layers instead of three. Duvet covers is a kind of bedding that is also called a continental quilt. It is somewhat similar to a comforter. A duvet is a soft bag that is filled with feathers or down and is usually covered with something that is similar to a pillow case. Duvet is traced back to rural Europe and were first made from the feathers of the duck because duck feathers are often associated with warmth. As the easiest way to improve a mattress’ comfort level with minimal cost and hassle, mattress toppers have never been more popular than they are now. Available in a wide range of materials and sizes, a mattress topper can help remedy sleep issues, whether you have an extra firm mattress for back pain that isn’t as comfortable as you’d like, or you want to extend the life of your older mattress while saving to upgrade to a more contemporary bedroom. 1. Allow it to expand! The majority of mattress toppers are made from traditional foam, latex foam or memory foam, resulting in a packaging process requiring vacuum sealing to minimize size for shipping. When you first remove a new topper from its packaging, spread the firm mattress pad out in a spare room or open area and let it expand fully before use. Using a topper before it fully expands may cause the foam to never reach its original fullness, reducing its strength and comfort. 2. Be gentle with it! A topper’s job is to hold and support your body’s weight, a testament to its strength, but that shouldn’t imply it has no weaknesses. When putting a foam topper on the bed or adjusting its positioning, avoid grabbing corners or pulling from edges. Given the weight of the topper and the friction that sliding it over a mattress can create, a topper is prone to tearing when adjusted in such a way. Do your best to roll or fold the foam to gently situate it. 3. Keep it covered! Some people may think that to get the full mattress topper experience, they should sleep directly on it without a cover. This is one of the worst things you can do to a topper. Sleeping directly on the topper leaves it open to messes and dirt. It will also lack the durability a well-made cover offers. Either covering the topper on its own or putting it directly on the mattress under the sheets is key to keeping it clean and in top shape for a long time. A swimming pool fence is a necessity every homeowner must take in consideration. The pool is a very risky place, especially for young kids. A moment of inattention can turn into a tragedy. Most laws today oblige the homeowners to install these fences, no matter on the consequences. The main consequence is a complete ruination of your decor, which you hardly worked to design and pay for. With all these, the good part is that you have solutions. You don’t have to ruin your backyard with a grotesque fence. These days, the frameless glass pool fences are more popular than ever. They are easy to install, almost invisible, provide your pool with a larger sensation and they represent the perfect safety measure. Unlike many expectations, the glass can be extremely durable if you opt for high quality. It can also resist against extra stress or pressure. If many homeowners prefer to see something solid they can trust in, this new and innovative concept is quickly gaining popularity. Just like other ideas, the glass comes with a lot of options too. The frameless pool fence is a common idea for those who embrace the simplicity. You no longer have to think about customized frames, personalized handles and a lot of other small details. It is true that such small details can help you make the difference, but today, the simplicity is definitely in trend. People opt for simple things and count on small details for other more important aspects, such as the interior. Choosing the perfect furniture for your backyard is an extremely challenging task. The backyard represents more than just an extension of your house. If the architectural plan and the design are well done, this space can be transformed into a comfortable area and a great place to relax in. Whether you look after Wicker furniture indoor or outdoor parts, the solid producer is often the best option you have, mostly due to the wide variety of models, not to mention about the high quality products. The quality is vital for the outdoor furniture, as it is basically exposed to a lot of problematic weather conditions. Picking the right furniture for the yard is based on the same criteria as for any other area in your home. The main criterion is the available space. Although a backyard may seem like a very spacious area due to the wide opening, it is limited. It is very important to decorate this area according to this sensation. In other words, you must maintain the unlimited space sensation. From this point of view, try to avoid crowding this place with useless things. Besides, don’t forget that it represents a part of your home, so think about it as a whole, whether you look after a new extravagant theme or the same decorative theme. The outdoor Wicker patio furniture is excellent for this purpose. Wicker has so many options that you can pick anything. Whether you are after sunroom furniture, dining furniture or seagrass furniture, you got so many options that you don’t even know what to pick first. Going in for a solar installation is not very different from buying a new car. It takes a lot of planning before you ‘take the dive’ with the end objective being to reduce your own costs as well as the dependency on conventional sources of energy. As a rule, small changes that you bring into your home usually have a large impact. In this case, your electricity bills could be reduced if you watched your energy consumption. 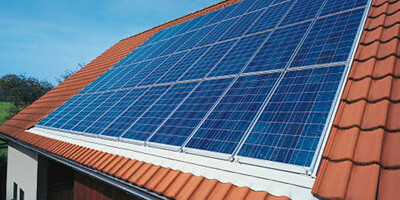 This will really help when you depend on solar power after the installation is complete. One of the reasons why energy consumption is much more is because of a lack of proper insulation. Spending money to get this fixed by using the services of a professional can help you save money in the long term. Usually, a common requisite for a successful solar installation on the roof involves obtaining ‘full sun’ during the hours of 9 AM to 3 PM. The same applies to installing the solar panels on the south side as well. Check for this before you do anything else. Knowing how you are being charged for the energy you consume is probably one of the simplest things that will help you save money. Once you know how this is done, then it becomes easier to plan your energy consumption accordingly. #5: Is the health of your personal finances good or not? If you are already in debt, avoid the investment for some time. If not, then look for financial plans that can reduce the initial investment as much as possible. Remember that the return on investment will take a few years before it begins to pay back handsome rewards. Traditional mattresses are constructed of materials that can cause allergic reactions in many people. This can happen as a mattress ages and houses irritants or even when they are brand new and the user is sensitive to the materials used in its construction. As mattresses age, dust mites make their way into the interior and cause congestion and other symptoms that make a good night’s sleep difficult. If you suffer from allergies or are simply searching for a more natural alternative to traditional bedding products, a latex mattress may be exactly what you’re looking for. A natural Dunlop or Talalay latex mattress is a hypoallergenic product that doesn’t contain any synthetic ingredients or chemical additives. These two varieties of mattress are slightly different based upon the engineering of their respective formulas but they share the same general qualities. With their open-cell foam structure combined with the pin-core design they feature as a result of their manufacture, latex mattresses are aerating and one of the coolest bedding products in terms of temperature, perfect for people who “sleep hot.” Latex bedding molds to the body in a supportive but pressure-relieving style that immediately responds to your every movement. The material springs in support as you roll and situate yourself, providing constant comfort. Latex has many density levels for beds, so people can enjoy its material benefits whether they like a soft or firm mattress. It can even be formed into a latex pillow for an all-latex bedding setup, as well as mattress toppers for individuals searching for premium comfort. If you’re looking for better health, improved sleep and spectacular comfort, you can find all three in a natural latex mattress.